One of the most recognized features of the 2011 Mustang is the intricate styling. The new model Mustang displays an attention to detail that many production cars have yet to master. 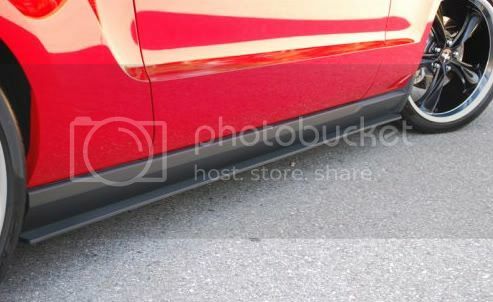 Compliment your Mustang's brilliant design with the Side Rocker Splitter Kit. This product does an excellent job of spicing up your vehicle’s factory side rockers to better represent the rest of the body. Not only does this component provide greater detail up close, but the Mustang is also given a more powerful stance that can easily be seen by any distant onlooker. - Shaped with high-pressure injection molding, the same process in use by OEMs.